Everyone has their own opinion on packing and luggage, often held for good reason, so we felt we’d share ours here. Remember that for years we traveled from 2 to 5 days per week every week, so our bags got more use in a year than most people do in 10 years! During this time, we learned some things early on but gradually evolved into some other truths. I have always liked bags, personally, and tend to buy little ones for my camera or books or water, etc., etc., driving my wife to distraction. (This interest is in addition to my love of jackets, computers and any type of gadgetry, all of which she finds equally upsetting, but I have to say she is a good sport about it!) The small ones really are far less important than those big luggables you will need for most long trips. It may seem obvious, but the first thing to decide is what the purpose of your bags will be. A simple example is the difference between someone who travels primarily by car vs. those of you who are always in the air. If your travel is mostly in your car, you need to look for a lot of small to medium sized soft bags and a suit or dress bag that you can lay across the bags in the back. This will allow maximum flexibility and assure that none of the bags are too heavy. But when you are flying, the needs are totally different. Soft bags may work, depending on what you are taking with you, but there are two kinds: completely soft and soft-sided, the latter of which have a frame. For anything going into the luggage hold, we recommend a bag with a frame. Not only is there better protection for your belongings, but they are usually also a bit more secure. This is probably the biggest area of change in luggage over the last couple of years. Four-wheeled bags used to be unwieldy and easy to tip over, but things are different now. Not only are they generally much more stable, these bags, known as “spinners” can be easily negotiated through almost any airport traffic with a minimum of effort. Whereas most two wheel bags add additional strain on your back, the four-wheel variety can be pushed in front or alongside or pulled behind on either all or two wheels. And the independent wheels that rotate in any direction seem to just glide along. Our favourite brand has been Tumi for a long time, as those bags seem to just never die. And, their customer service is simply excellent. 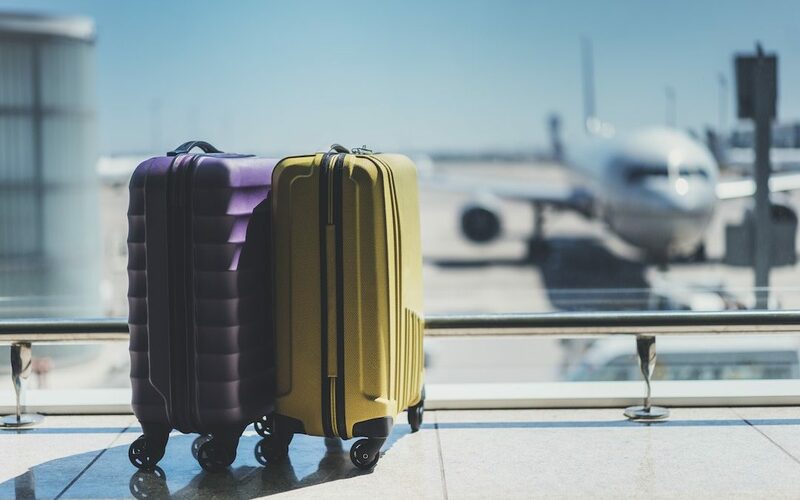 But not everyone can spend up to $1,000 for a bag, and the good news is that now most of the major luggage sites have customer reviews and recommendations in addition to the usual dimension and other technical data to help make your decision simple.